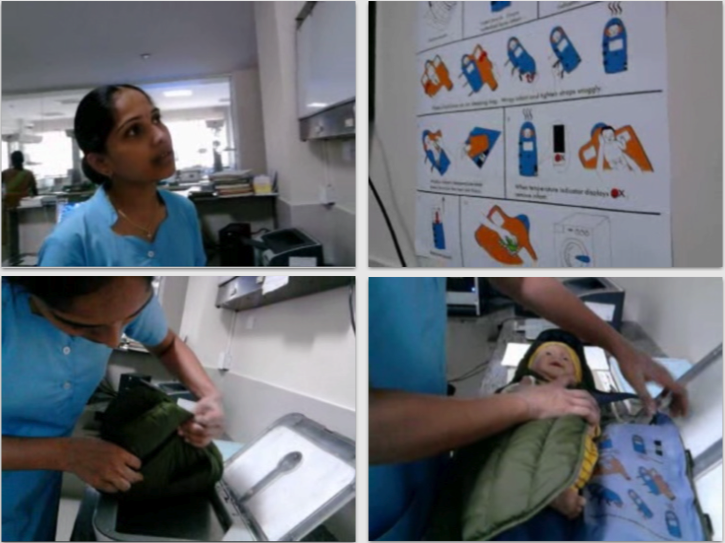 Embrace is a social enterprise based in India, developing a low-cost infant warmer to treat premature newborns with hypothermia. 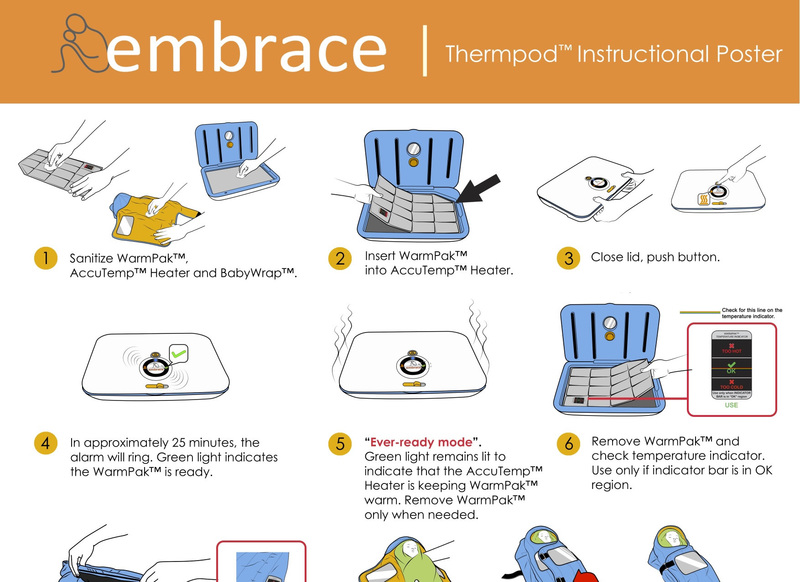 I designed a medical poster to instruct healthcare providers in India on how to use the Embrace infant warmer. While I was originally tasked to design product labels, I ultimately designed a stationary poster, a more user-friendly design for a delivery room setup. User insights gathered from usability testing in hospitals with actual nurses and infants inspired this pivotal design decision. I travelled to 3 different hospitals around Bangalore, India to test my prototypes with healthcare providers. Although I had brought a baby doll for the usability sessions, a screaming, crying premature infant made a guest appearance. This 1 kilogram baby gave me the most important insight of all: in a hectic delivery room, everyone’s focus is on the baby. Therefore, the design needed to suit the natural environment. 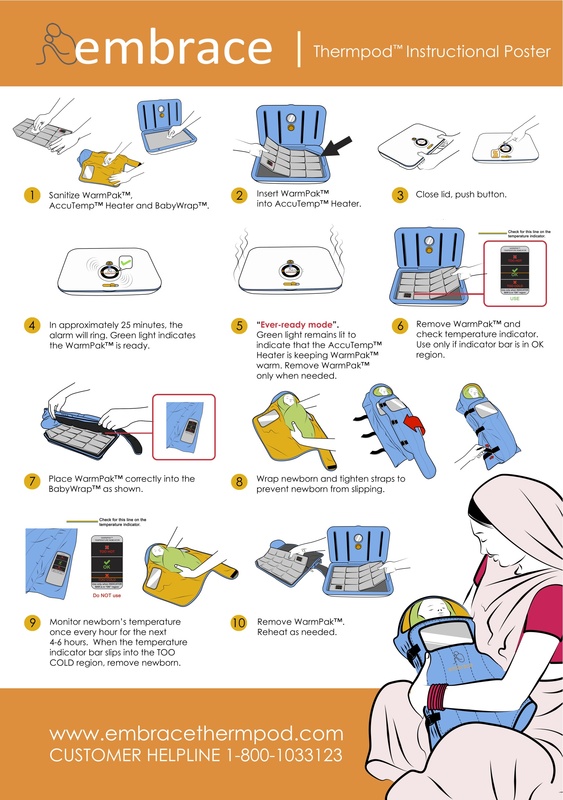 I concluded that product labels were too complicated for a device with several moving parts. A stationary poster design better suited the chaotic environment. For the final design, I collaborated with a graphic designer to produce pixel-perfect illustrations and I designed the poster layout.